The purpose of the Honors Recital is to provide incentive and recognition to talented, motivated students who can prepare for auditions superbly and are confident enough to perform their pieces in public in a formal setting. A less rigorous challenge than the spring Piano Competition, the Honors Recital allows students/teachers to choose the repertoire they wish to present. Students enter in one of three categories: I through age 10 (Intermediate C level); II - ages 11-14 (Pre-Senior B level); III - ages 15-18 (Senior B level). The level guidelines follow those of the spring MEA Annual Auditions. Dates and locations of the auditions and recitals can be found on the MEA CALENDAR and on the Honors Recital Application Form. Before completing the Application Form, please read the complete Honors Recital Guidelines and Regulations below. There is no age minimum. The maximum is high school senior (grade 12). The student's teacher must be a current, paid member of MEA. Any student who has transferred from one MEA member to another must have studied with the new teacher for a minimum of six months prior to entering the Honors Recital Audition under the new teacher's name, except by mutual agreement of the two teachers. This does not apply to transfer students from outside the MEA. Students enter in one of the three categories listed below. Age ranges, time limits, and minimum difficulty levels are indicated for each category. The levels follow those of the spring non-competitive MEA Annual Auditions, but the Honors Recital auditions are completely separate. Repertoire from the immediate past or upcoming Piano Competition syllabuses are not permitted in either solo or ensemble auditions. Repertoire presented earlier at the non-competitive spring Annual Auditions is permitted. In accordance with the 2018 version of The Annual Auditions Syllabus, Original Compositions and Student Arrangements are allowed, as long as they are notated and correspond to the appropriate level. Simplified arrangements, other than artistic arrangements, such as those by Busoni, Liszt, or Rachmaninoff, are not permitted. Repeats are permitted only if they do not exceed the time limit. No repertoire changes will be permitted once the application form is submitted. Any changes will result in disqualification. Students are required to perform two contrasting compositions from standard repertoire, from any two of the following musical periods: Baroque, Classical, Romantic, Post-Romantic. Post-Romantic encompasses Impressionistic, Ragtime, Jazz, Contemporary and every style since about 1900. Two pieces from the same musical period will not be accepted. Although there are some composers who bridge two musical periods, either chronologically or stylistically, for these auditions, Beethoven is considered Classical and Schubert is considered Romantic. Please address any concerns about musical period to Charlene Step at Honorsrecital@mea-nj.org. A movement of a sonatina, sonata or suite will be considered as one piece. A complete set of variations must be played to qualify as one piece. Both the Prelude and matching Fugue from the WTC by Bach must be played to count as one piece. Students are required to perform only one piece, with a time limit of 6 minutes for all levels. The piece must be for one piano, for 4 or 6 hands. Memorization is optional for ensembles. Students do not have to be the same age to audition as an ensemble. The ages of the students will be averaged, if necessary, for placement in the appropriate category. For example, if an ensemble is made up of a 10 and a 12-year-old, the students must play repertoire appropriate to Category II, for ages 11-14. To apply and pay online, log in to your Member Homepage. Look in the right-hand column under Member Documents for the interactive application form. To apply by mail, go to Forms/Downloads on the main menu. Print out the form and submit by mail with payment. Applications will not be accepted by phone or email. Girls: A dress, a formal skirt or dress pants (slacks) with blouse or sweater, and dress shoes. Dresses and skirts should cover the knees when seated. No bracelets, rings or colored nail polish. Boys: A suit or dress pants and dress shirt, sweater or sports coat, and dress shoes. Ties are optional. The audition time cannot be changed for any reason. Students must arrive at least 10 minutes before their scheduled audition time. There will be no opportunity to warm up. The original score(s) should be presented to the judges at the beginning of the audition. No photocopies are allowed, but printouts of legally downloaded music are accepted. Students will perform before two judges and must receive a rating of "Honors" from both judges in order to perform in the recital. Only grades of Honors and Honorable Mention will be given. Judges have the right to stop the audition or cut portions of the pieces to stay on schedule if the performance exceeds the time limit. There is no limit to the number of students chosen from each age group. Selection will be made solely on the basis of the quality and merits of the performance. The judges will select the one piece each Honors student will perform in the Recital. Notification of winners: Teachers of the winning students will be notified by the Honors Recital Committee within two days following the audition date. Please do not call the committee members or Chair. Students and parents should keep the recital date free of other commitments until they learn their status after the audition, since winners are expected to perform in the scheduled Honors Recital on that day. Winners who have failed to perform in two previous years after receiving "Honors" are not eligible to compete. All participating students will receive a certificate in the mail, awarding either "Honors" or "Honorable Mention". Judges' decisions are final and are not open to question under any circumstances. Judges are not to be contacted at home or studio to discuss issues pertaining to the audition, or music to be performed at the recital. It is the responsibility of the teachers to convey the following information to their students. Performers are asked to arrive at least 15 minutes before the recital time and check in. They will be given instructions on where to sit in the order of performance. Performers must come appropriately dressed. Please see the required Dress Code above. Students and families/guests are required to stay for the entire recital to encourage proper courtesy at concerts. Families are further asked not to bring very small children so as not to distract the performers. 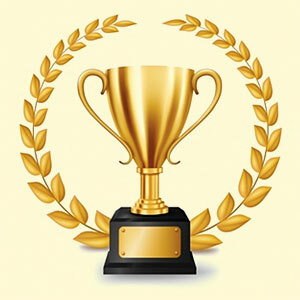 Awards: Students who perform in the Honors Recital will be presented with a trophy at the close of the recital. Winners who do not perform in the recital receive a certificate only.